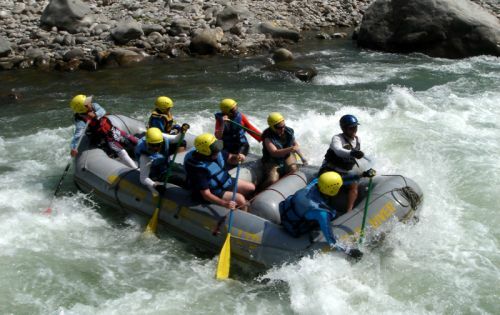 The rafting trip in Tamor River starts from Dhoban. 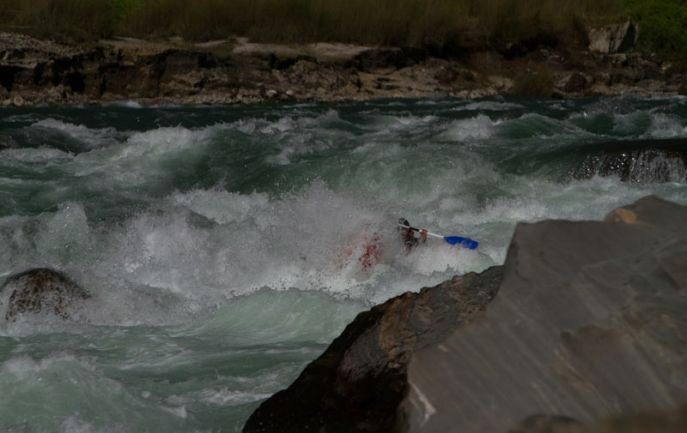 At Dhoban, the three tributaries of Tamor river meet. You need to take a 15 hours drive from Kathmandu to Basantpur or a flight from Kathmandu to Biratanagar and further 5 hours drive to Basantapur. From Basantapur take 3 to 4 days trekking to Dhoban. 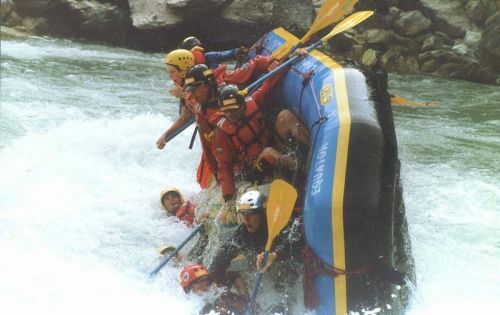 The rafting route is 120 km long and takes 11 days to complete. The trip ends in Chattra in the Sapta Koshi River. From Chattra, take 14 hours ride on a bus to Kathmandu. 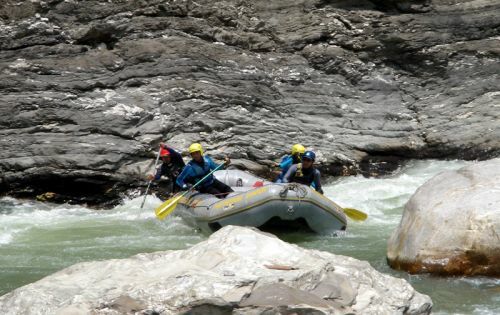 With over 100 class 3, 4 + rapids, the Tamur offers a unique six days of white water taken at a leisurely pace with plenty of time to venture up hidden side valleys and explore remote villages. 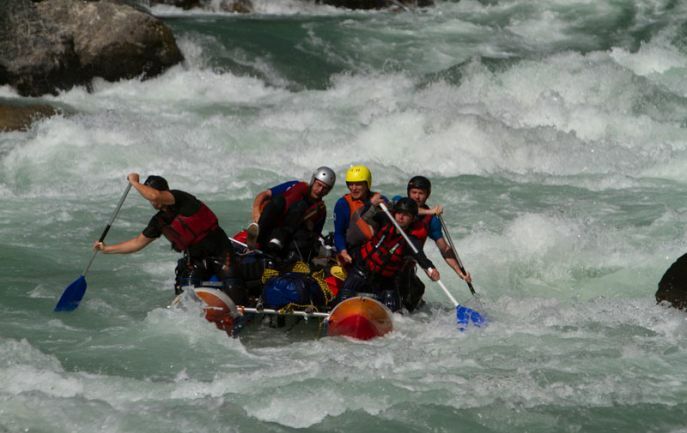 No previous experience is required for rafters however; a reasonable level of fitness and a positive attitude are a must. 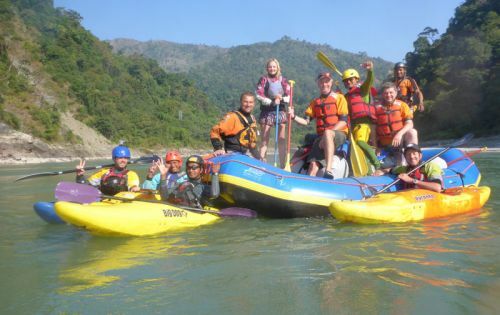 Probably the best combination trip in Nepal- magnificent white water, a beautiful un-spoilt valley, combined with one of the most scenic treks in Nepal. Rafters need no previous experience. 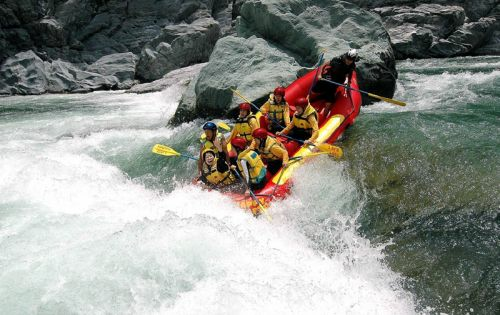 This is the perfect river for expert kayakers, containing continuous class 4 rapids, class 4 + drops, epic surfing and hole riding. 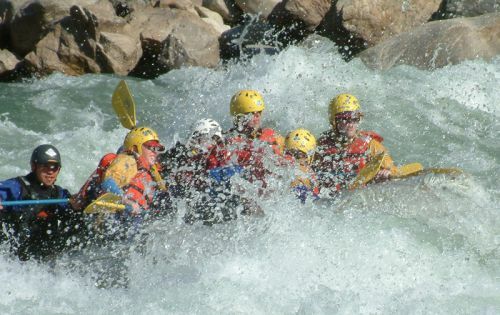 Experienced safety kayakers accompany each trip offering advice on rapids. An excellent roll is a prerequisite.